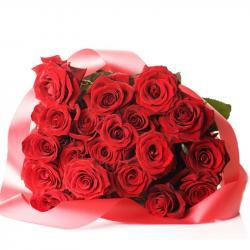 Product Consist : Basket Round Arrangement of 50 White Roses. 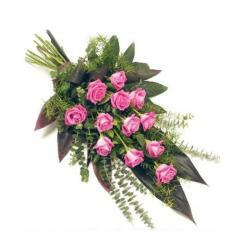 This Lovely arrangement of very cute and pure fifity stems of white roses . 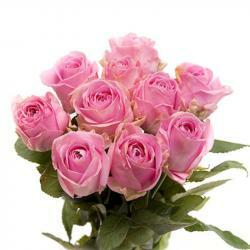 Imagine visiting the Fairyland and Send these beautiful flowers to Fairy Queen. 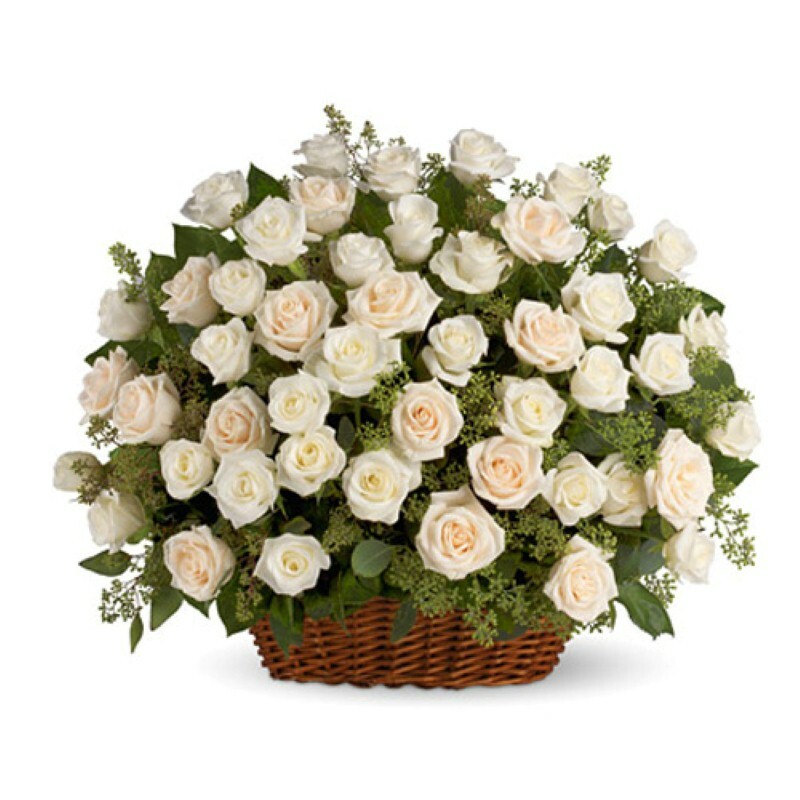 This Beautiful snow shade of white roses will be the best reminder of your warm love and affections in this winter on valentines day. 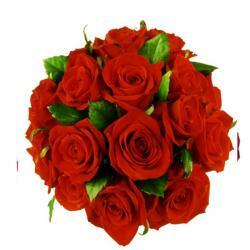 Product Includes : Basket Round Arrangement of 50 White Roses.